While China is working on the world’s longest and highest glass-encased walkway, Los Angeles has something more terrifying to offer. 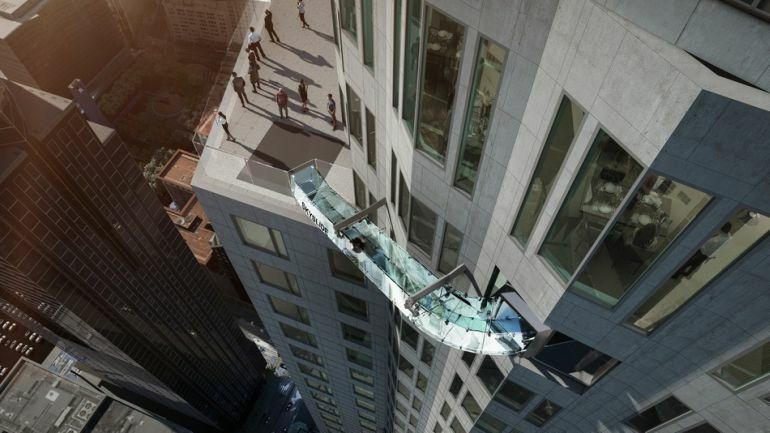 Say hello to Skyslide, a one-of-a-kind glass-bottomed slide that will get your adrenaline pumping just by looking at it. Perched at a height of over 1,000 feet from the ground, the new attraction is currently being installed at the 70th floor of the 1,018-foot-high US Bank Tower. Scheduled to open on June 25 this summer, the stunning slide measures around 45 feet in length, and is built using 1.25-inch-thick strengthened glass. As the developers point out, it is one of the two attractions of Skyscape LA, with the other being a spectacular observation deck. 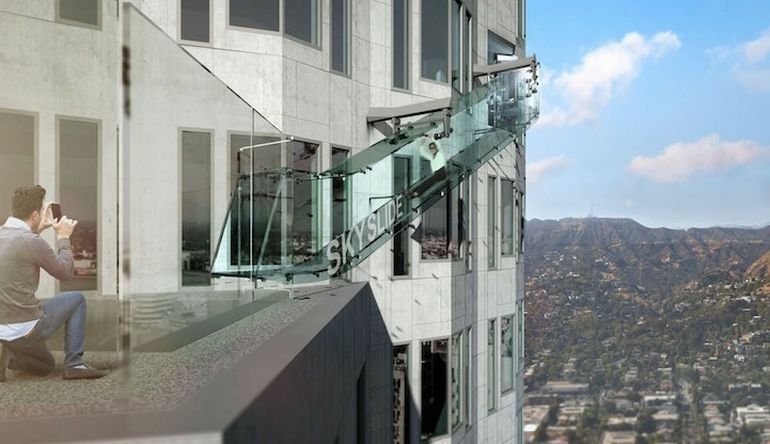 Touted as California’s tallest, the open-air sky deck will offer breathtaking 360-degree, panoramic views of Los Angeles. From its highest point at the building’s 70th story, the slide will take guests to the 69th floor, which in turn houses the observation deck. Priced at $25, tickets to the ride will be available for purchase from March 18 this year. To know more about Skyscape Los Angeles and its attractions, head over to its official website, Facebook or Instagram page.